There’s something very cozy about Brick floors. 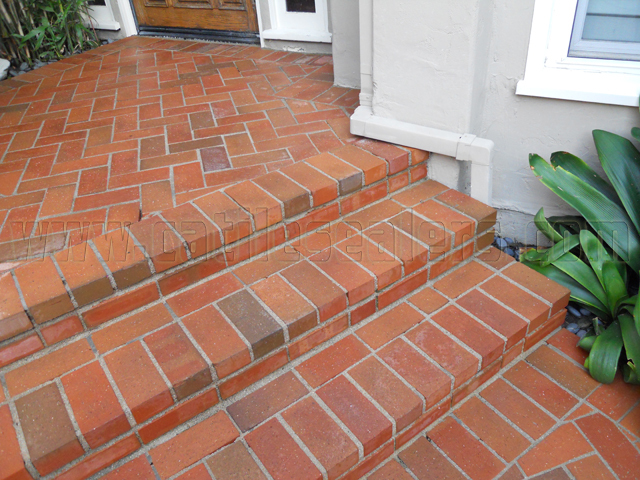 They infuse a home with a storied, old-world feel and emit a sense of comfort and nostalgia. Brick floors combine the durability of tile or stone with the warm colors of wood, and they can work with almost any home style. 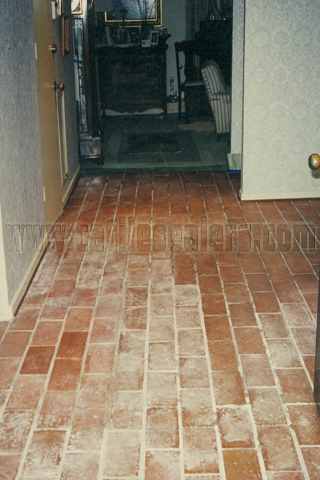 Yet for all those positive attributes, Brick floors remain a relative background player on the grand stage of floor coverings. 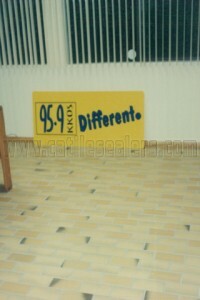 Brick provides designers with a wide range of decorative choices and options. 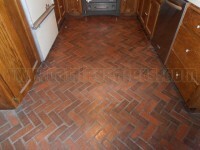 When used as a flooring surface, Brick faces particular challenges, which it handles with varying degrees of success. 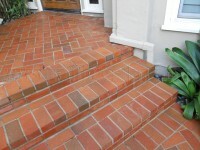 However when properly cared for, it can be used in nearly any location, and can last for decades. 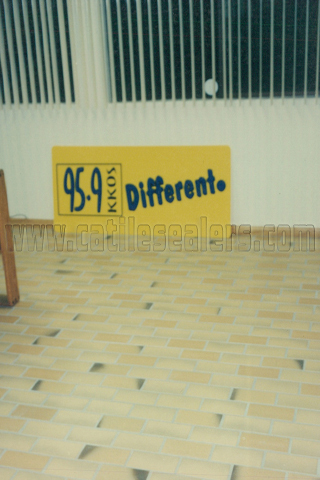 The specialists at California Tile Sealers have the expertise to clean, strip, restore, and refinish your Brick floors, at the same time making them easier to maintain. 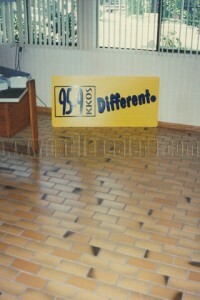 We can return your floors to its original elegance and beauty! Exterior brick porch with ground in dirt and hard water deposits. 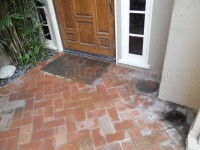 Exterior brick porch deep cleaned and sealed with imgregnating sealer. Interior brick floors with years of built up sealer. 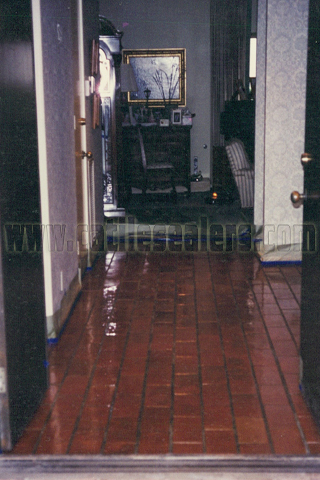 Interior brick floors completely stripped to bare and sealed with medium shine sealer. 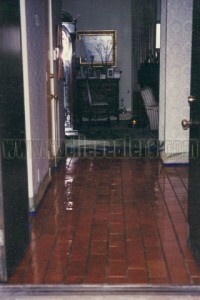 Interior brick floor with water damage from flood. 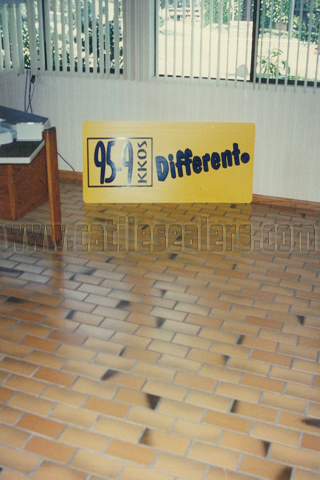 Interior brick floors acid washed, neutralized and sealer with masonry lacquer. 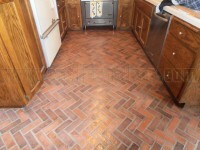 New interior brick floors cleaned and sealed with medium shine sealer.